The Pioneer Plus IVUS-guided re-entry catheter is designed to identify true lumen with speed for the most challenging CTOs. 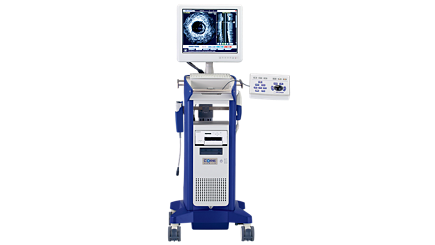 With the unique offering of IVUS and a dual-wire system in one device, the Pioneer Plus catheter provides clinicians with IVUS-guided clarity to true lumen re-entry for their patients. 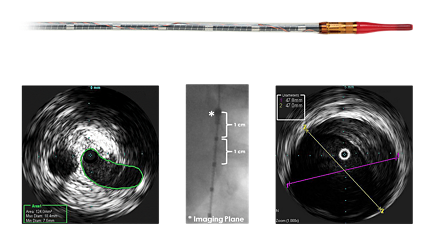 The Pioneer Plus catheter is the only re-entry device with IVUS and ChromaFlo. IVUS imaging helps physicians assess disease markers including plaque burden percentage, lesion location and morphology, calcium volume, and the presence of thrombus. It also provides analysis of crucial parameters – like luminal cross-sectional measurements – and helps aid in disease diagnosis. 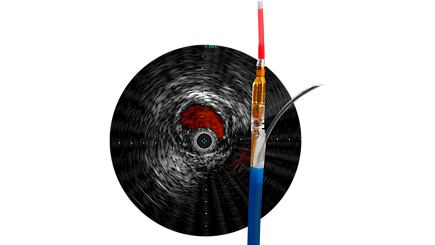 IVUS imaging helps to confirm treatment results, including the completeness of treatment, the apposition and expansion of stent placement, and whether or not the patient requires a thrombolytic drip. 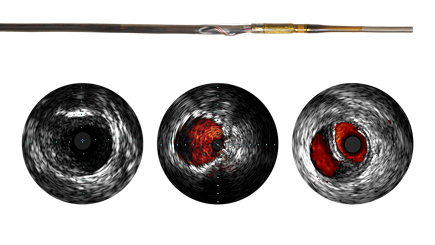 ChromaFlo imaging, for example, can be used to show evidence of stent apposition by illustration the absence of flow.